Musical Instrument Digital Interface, or MIDI for short, is an old technology used in all kinds of modern music making machines. From keyboards to Launchpads, and everything in between, this mega list covers some of the coolest Arduino MIDI controller projects around. All you need to get started is an Arduino and a few buttons. We couldn’t make a list of Arduino MIDI controllers without including our own project! In this tutorial I provide full instructions for building you own MIDI controller. Using an Arduino, a breadboard, and two buttons, this project can easily be made in an afternoon. With a MIDI definition, full code samples, and clear circuit diagrams, you should checkout this build guide as a general primer on all things Arduino MIDI related. See our DIY MIDI controller tutorial How to Make a MIDI Controller with an Arduino How to Make a MIDI Controller with an Arduino As a musician who has amassed a collection of musical instruments and noise boxes, the humble Arduino is the perfect tool to create a custom MIDI controller. Read More ! This project, by seasoned designers Adafruit, is a clone of the ever popular Novation Launchpad. Featuring an 8×8 grid of 64 backlit buttons, this project isn’t for the faint hearted. Admittedly, it’s probably cheaper and easier to just purchase the real deal, but as a project, it’s very cool. What’s even cooler is that Adafruit have generously provided a bill of materials and build instructions, along with lots of clear photos. You’ll need a laser cutter to produce the case, but a 3D-printed version is available from Thingiverse user Electronic Grenade. This project, by YouTuber Evan Kale, showcases an impressive array of sliders and dials. Using an Arduino Pro Micro at its heart, this device is capable of controlling nearly any parameter you can throw at it. While there is no build tutorial, the video does provide a reasonable overview of every aspect of the build. With schematics, code, and 3D-printed case files available, you should be able to recreate your own fairly easily. Designed for controlling guitar effects pedals, this MIDI foot controller from YouTube channel “Workshy” has some impressive features. With four function buttons, multiple banks, seven-segment LED display, and the ability to choose latching or momentary switching, this impressive build has more than enough features to keep you occupied, even if your hands are full! There’s no build tutorial, but the Arduino code is provided. Wiring some switches shouldn’t be too troublesome, and our guide to Arduino displays 6 Displays to Output Data From Your Arduino 6 Displays to Output Data From Your Arduino In this article we will take you through the different types of display available, where to get them, and how to set them up. Read More should help you choose the right display. While technically an Arduino compatible, and not a “true” Arduino board, this project is simply too cool to exclude. Coming once again from Adafruit, this project uses a capacitive touch sensor, and an array of 16 NeoPixel LEDs. An excellent online build guide is supplied, but this build does involve some complex metal fabrication and 3D printing. There’s no reason you couldn’t swap out the metal for plastic parts, however. This cool tutorial comes from YouTube creator Electronic Projects. This ingenious project uses cardboard and paper clips to produce a completely custom, Arduino powered MIDI keyboard. Don’t be put off by the slightly scary amount of wiring required, you can easily reduce this by making a smaller keyboard. Follow the creator’s clear tutorial video above and you’ll be making music in no time! Coming straight from YouTuber Simon Mackinnon, this MIDI controller users arcade buttons to control all things music! While this model “only” has six buttons, it would be easy to expand yourself. Not only has the author provided an excellent written tutorial, but they have also recycled a plastic container as the chassis. The Stranger Things-style music only makes this project all the cooler. Good job we say! This Arduino MIDI controller tutorial from avid music maker “fraganator” takes the concept of arcade buttons one step further. Not only has the author implemented 12 buttons arranged in a 4×3 array, but they have also included four rotary dials, and two faders. There’s no limit to what you can achieve with this controller. The owner has written an outstanding tutorial, and along with written instructions, and good clear photos, they have also provided cutting templates for making your own case—no 3D printing required! Designed specifically for Ableton Live, this controller doesn’t have a fancy box or buttons like so many other projects. Coming from YouTube channel Starfire Technology, this stripped down project is an excellent way to learn the basics. With only a few lines of code, you can build this simple controller without even soldering anything (although you should probably learn to solder anyway). This impressive project was made by YouTuber uglybuckling. With a beautiful Oak and Walnut case, 40 arcade buttons arranged in an 8×5 grid, and containing various other buttons and controls, this project is certainly a big one. Running on an Arduino Mega, this project is somewhat different to the others. Similar to the MIDI piano above, this machine produces note values. Designed so that even novices can make tunes that sound good, this is one cool looking controller. With the exception of the code, the build guide does cover physical manufacturing of the unit, and why certain decisions were made. What Arduino MIDI Controller Do You Use? These projects show just how creative you can get with just an Arduino. While most of these controllers should work fine with any digital audio workstation (DAW), most of them will work best with the kind of beat-matching, song-skipping abilities of Ableton Live, so make sure to check out our Ableton Live Guide if you haven’t already. 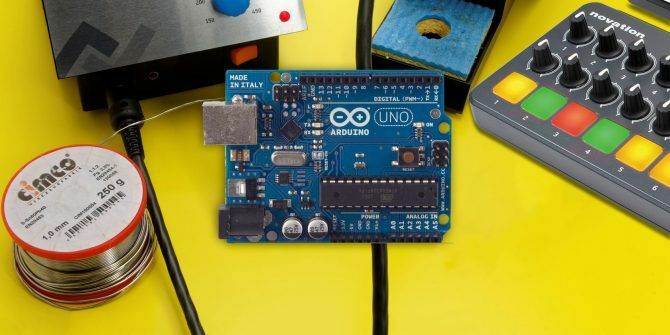 Take a look at our Arduino beginner’s guide if you’re new to this wonderful device, and don’t forget to read our board buying guide Arduino Buying Guide: Which Board Should You Get? Arduino Buying Guide: Which Board Should You Get? There are so many different kinds of Arduino boards out there, you'd be forgiven for being confused. 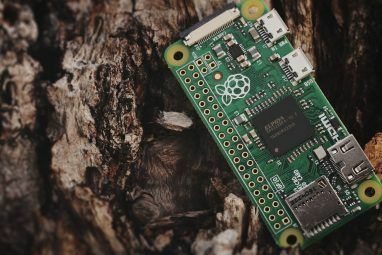 Which should you buy for your project? Let us help, with this Arduino buying guide! Read More for help on choosing your MIDI controller brain! 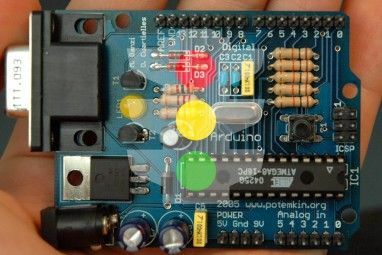 Explore more about: Arduino, MIDI.